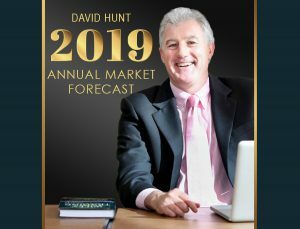 Stock Market Expert, David Hunt delivers Market Advice, Shares Recommendations, Top Stocks, Market Timing, Support and Training across all market sectors to his Profit Hunters. 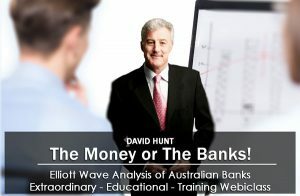 Profit Hunters Members receive market advice based on David Hunt’s technical analysis. Combined with his wealth of industry knowledge, you get unbiased stock market advice from an experienced, industry expert. 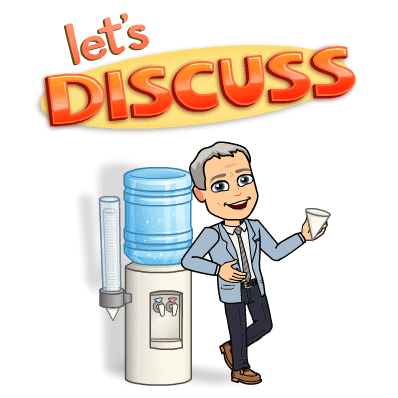 David Hunt covers all stock market sectors each day. For example, Australian Shares, ASX, FOREX, Commodities, World and US Shares and Indices and Cryptocurrencies. You are well supported in whichever markets you choose. David’s Hunt has a wealth of industry knowledge, experience and specialist expertise. Therefore, he services his members at the highest level. Professional Stock Market Advisors, Planners, Brokers, Investors, Traders, and Self-Managed Super Funds all Benefit from David Hunt’s Market Advice Collectively. Keep your your eye on the stocks the other professionals ask David Hunt about daily, rather than going it alone. Additionally, David Hunt can help you if you’re just starting out in the markets. 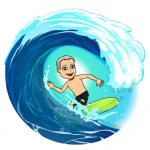 He teaches you to avoid rookie mistakes and he “Holds Your Hand” as you trade and invest. Get unbiased market advice, shares recommendations and training along with all the support you need. Profit Hunters seize opportunities as they arise and develop sound strategies to mitigate risks. Yes, you will learn the best shares to buy and sell. But most importantly, David Hunt helps you get the Market Timing Right. Profit Hunters know when to get in and when to get out which means they avoid getting caught in a stock market crash! Needless to say, nobody enjoys risking money investing based on yesterdays news. 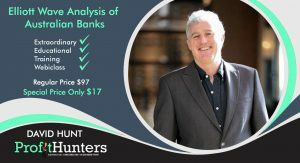 David Hunt performs live technical analysis, market forecasting and training so you get up to the minute data and information. He does all the hard work for you, which in turn, frees up your time. Furthermore, you’ll enjoy being one step ahead of the rest, regardless of what markets you are interested in. Australian Shares, ASX, World and US, FOREX, Commodities, Bonds, Cryptocurrencies are all covered. David Hunt has an Economics, Finance and Stock Market background spanning over 35+ years and is highly regarded in the industry. This is a membership site, suitable for professional Stock Market Advisors, Fund Managers, Traders, Investors and Self -Managed Super Funds and anyone who wants sound market advice. Improve your stock market investing and trading skills and know the best shares to buy and sell. You are assured of expert market advice because David Hunt has the industry knowledge and experience to service his members at every level. In contrast to going it alone, you get specialist stock market advice, shares recommendations, market timing, training. You are fully supported across all markets. 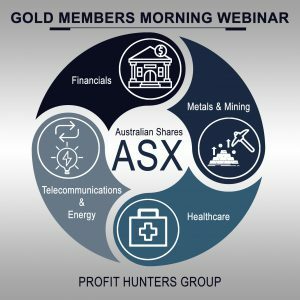 Collectively, David Hunt and his Profit Hunters identify risks and opportunities as the markets fluctuate. Ultimately, this benefits you because you get to keep your eye on the stocks the professionals are asking questions about every day. David Hunt performs his technical analysis daily and he shares his expert market advice and recommendations. This means you can make well informed decisions, invest wisely for the long term and seize opportunities as they arise in the short to medium term. 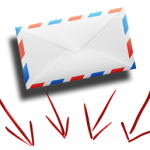 Gold Members can ask questions daily. You quickly develop the skills and courage you need to enable you to trade successfully across all market sectors. Above all, you acquire the skills and knowledge to invest with common sense, safety and control. A proud contrarian, David Hunts views are often contrary to main stream media opinion regarding the direction of the major Markets & Shares. Pounding the table, he regularly makes public calls that go against main stream media. 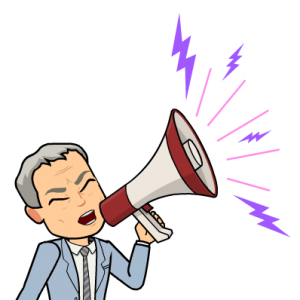 He forms his opinions using technical analysis and his extensive stock market knowledge combined with his vast industry experience spanning more that 35+ years. Therefore, David Hunt is no rookie neither is he influenced by the plethora of conflicting advice found in main stream media. For this reason, you can be sure that David’s market advice and shares recommendations are unbiased. His Market Forecast Strategy Updates clearly define the actual levels to buy and sell shares, or where the top will be. This means you can prepare and steel yourself to buy on the day when the market has shat itself. Or alternatively, sell/short when everyone else is saying it is going to the moon. David Hunt AKA “The Bell Ringer”, masterfully coaches you how to play the stock market. He draws on his natural gifts and insights as well as from the wealth of knowledge and industry experience acquired in an impressive career spanning over 35+ yrs. David Hunt reads the charts with lightning speed, uncanny clarity and remarkable accuracy. David Hunt has no vested interest in the shares or stocks he recommends. This means you can be 100% confident his views and recommendations are without favour, fear or bias! CWN.ASX Short Term-Medium Term-Long Term. Just a heads up on a recent trade that was timed to perfection. Taking your advice I sold my LNG on its high and made a slick 40K profit; good advice and I as you say “banked the cash”. I often share your advice with my old man, and he was stoked when he banked 695K profit when selling LNG at its culminating point – yes nearly $700,000. The old man being an investor who really hates taking profit until the company is taken over, was not going to sell, however, I told him my strategy and showed him what you taught us at the Profit Hunters Webinar the potential retracement levels and the reasons why you said it was in trouble. I asked him to at least remove his initial investment and let the rest ride, and to my shock he sold the lot five cents short of its culminating point – yes 5 cents off the ACTUAL TOP at $4.49 (exit $4.44) , hence, making nearly 700K profit. I asked him why he sold the lot and he replied, ‘well if David stated it will probably slip backwards and it’s run out of puff, so I took off my bull horns and sold the lot”. David you have definitely got the old man’s attention and my inheritance is looking very sound. Australia’s Top Market Timer and Australia’s Leading Technical Analyst & Chartist. David has been quoted as being “The 3rd best Market Timer in the World” by Australia’s Grand Old Lady of Technical Analysis – The Late Dawn Bolton-Smith. What is unique about David is his ability to help Short, Medium and Long term Investors, Advisers, Planners, Fund Managers, Stock Brokers as well as Traders and Self-Manged Super Funds manage their own investments and trades with common sense, confidence and control. 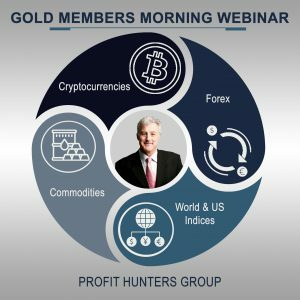 As well as his favourite, the ASX shares, you can get advice from David all around the world – David Hunt analyses & gives advice on all World Markets & Shares, Bitcoin and Cryptocurrencies to his Profit Hunters Group Members in Australia, New Zealand, Singapore, USA, Hong Kong, Europe and Asia. 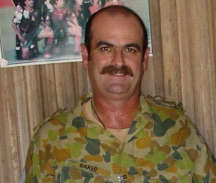 David Hunt’s success and defined opinions are highly regarded by the professionals in the industry due to his accuracy. Created for the Australian Securities Institute “The Gann Analysis” Curriculum. 35 Years Trading Experience in Forex, Options, Futures, Shares (ASX & Intel.) 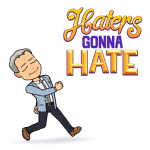 & CFDs. CEO and Chariman of Adest Trading Pty Ltd.
Profit Hunters Group Members Receive Bonus Packages, Members Benefits and Additional Discounts. Or... Discuss With David The Membership Option That Best Suits Your Personal Investing or Trading Needs. Contact David Today!